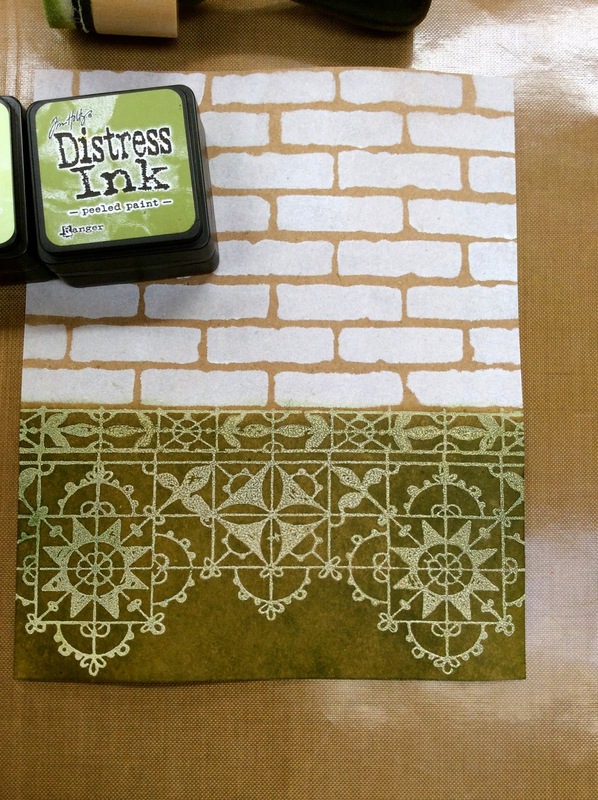 Studio 490: NEW distress minis & a GIVEAWAY! the last 3 sets of mini distress pads are HERE! I have a set of ALL 3 to giveaway! for all it does, it should cost $50.00! it's the perfect size for the mini pads! do you see how the snow cap changes the distress to a beautiful chalky matte finish? it's a small detail...but it DOES matter! I used this tool to enlarge the hole...it drills right thru like magic! 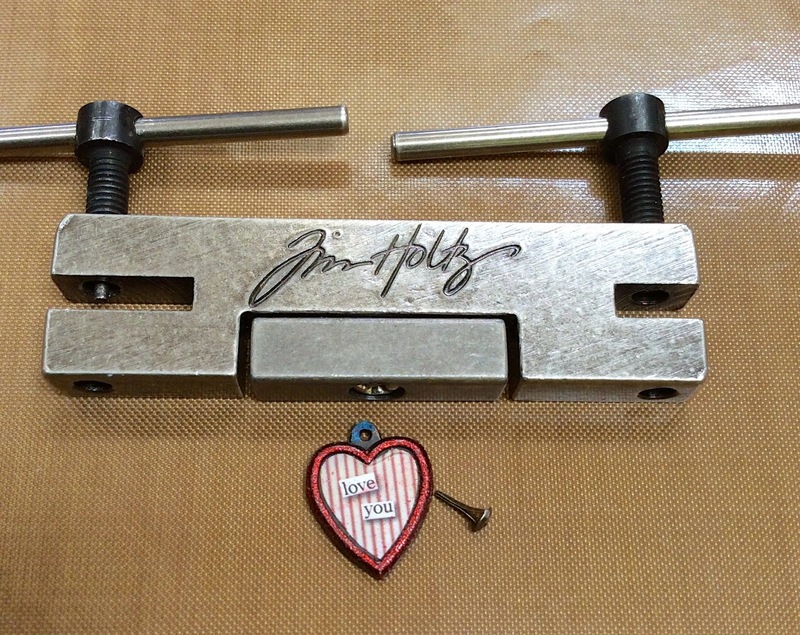 sad to say...it's discontinued...I hope you snagged one! Lovely card! 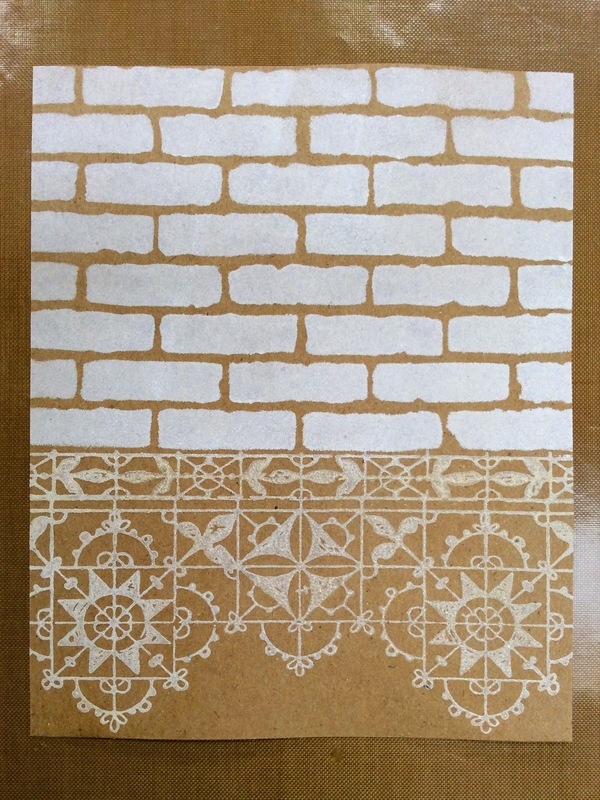 I love Kraft paper with white ink! And I love how you added all that color and dimension! Brilliant! wonderful card, wonderful inspiration as usual!! Very nice card! Anxious to get my hands on those minis!! I thought the minis were a little gimicky at first but have to say that I love them. The smaller size allows more flexibility, I think. LOVE your new lace border, Wendy! Great things come in small pkgs. 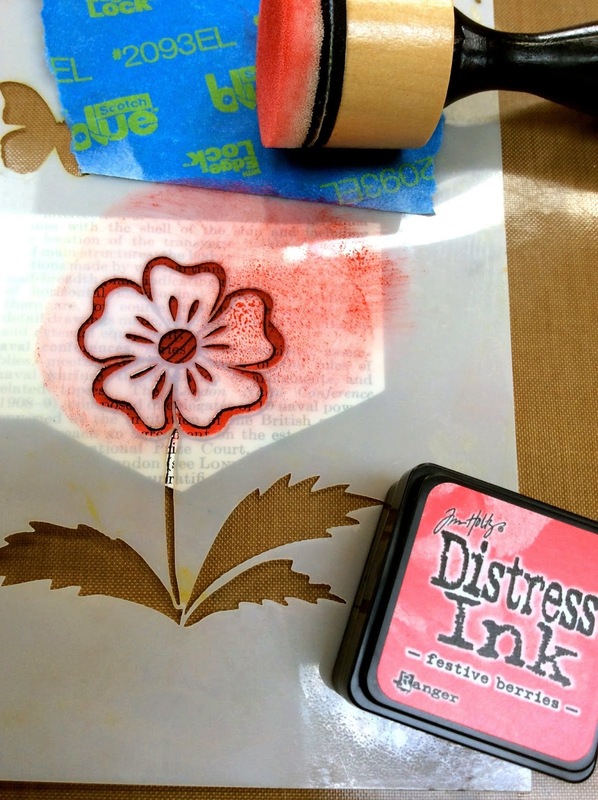 Wonderful Mini Distress Ink. Like the creativity with wonderful embellishing. Thanks for giveaway chance. The dimensional flower really stands out and is lovely. 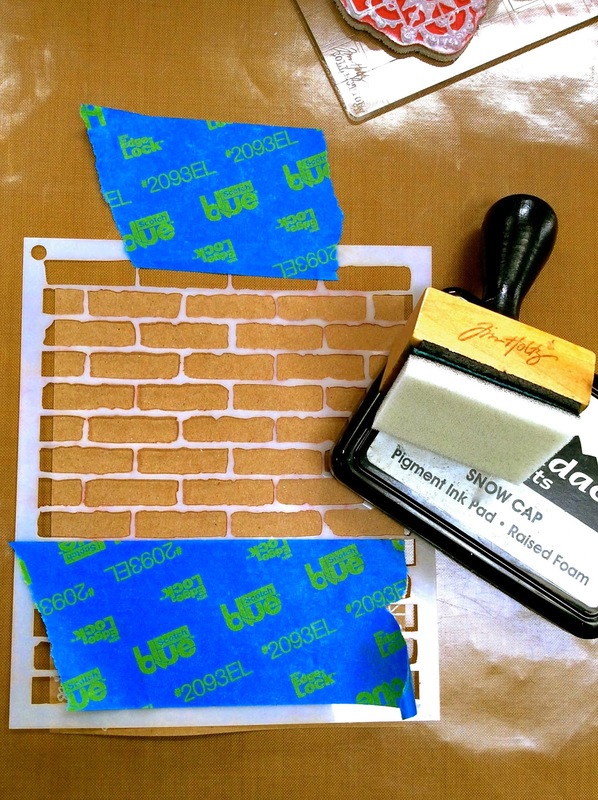 I really like the versatility you've shown several times with your brick stencil. The chalk "effect" with the distress paint is great. What great techniques!! Thank you for the chance to win! A great, whimsical card! 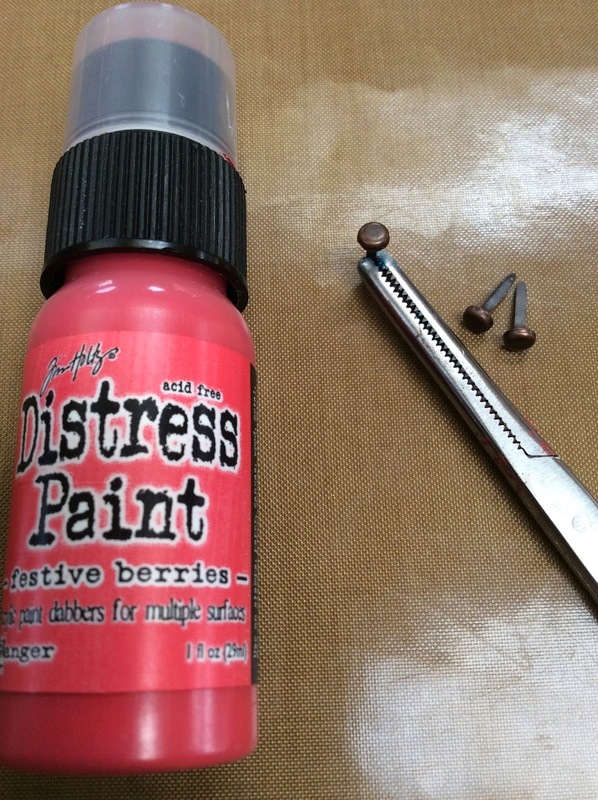 The chalky look of the distress ink is wonderful! You have the absolute BEST ideas! I love this card. Every last detail of it! Love Kraft and white! 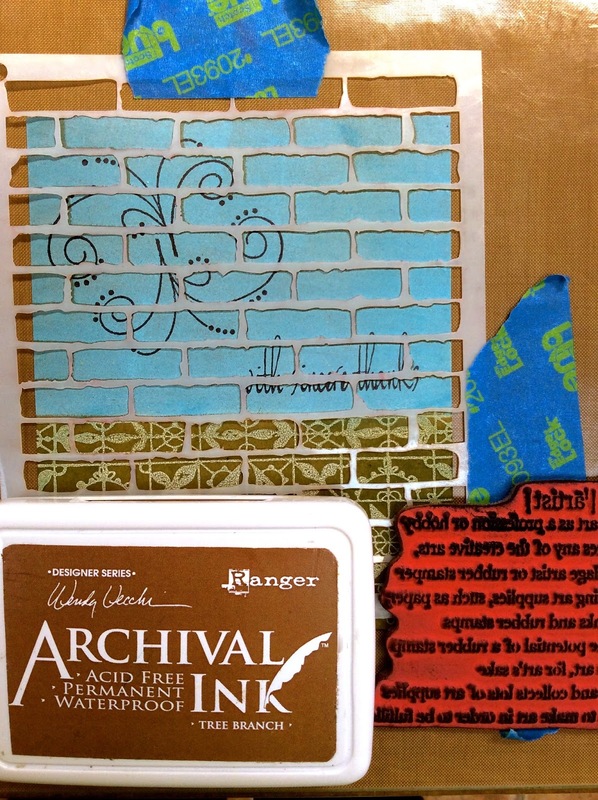 I haven't tried distress inks over dried white pigment ink, and now I need to get on that. I love the Distress Minis--a shoe box holds the whole collection! I would love to win and complete my set. Have fun at The Papercraft Clubhouse. 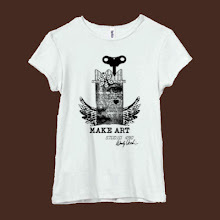 Get inky and make art. Great card! Iyou can use these minis in so many ways! Very pretty Wendy...I do LOVE that Vintage lace stamp!! Thanks for the tip on the white stamp pad. I've been trying to find a good one too. So difficult to find one that works well. I hate spending money on ones that are too transparent. Love the new stamps by the way!! Love what you did and the card is fabulous. 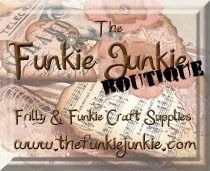 Between you and Tim Holtz I don't need to buy any other products!! lol You two really compliment each other!! Your ideas and creativity is amazing. Thanks for sharing and the chance to win!! Great techniques! I am going to rush out and get some of the Picket Fence ink right now! Love the brilliant use of distress inks - that's a great technique to use the white ink first and it is one I haven't used for ages - thank you for the reminder! Cool card. Love the colors and the white ink pad. I use it a lot. All so very happy to see my brushed corduroy in mini size. Whoa! All of those amazing layers and the details!! Simply stunning. I agree the tension between lace and distress is fantastic. Very clever. and thank you for the opportunity to win those adorable mini distress inks. I love that card! I love anything with bricks, so this one really floats my boat. Thanks for the give-a-way too. Love the new Distress Minis. So convenient for crops. Thank you for this opportunity! And your sample is amazing ... I have the bricks, but I need that lace stamp! I always love your projects, and the ease of which I can follow your detailed instructions. Thanks for all you do and the giveaway! Incredible card! Can't wait to see you in Westbrook CT and learn some of your tricks! Wow! Thank you SO much for that detailed tutorial. It really helps with newbies like me. Goodness! I didn't think I was going to like the card when you started but boy was I wrong. I just love it and thank you for all the details of how you made it! Just fabulous!! I love using Snow Cap, too. 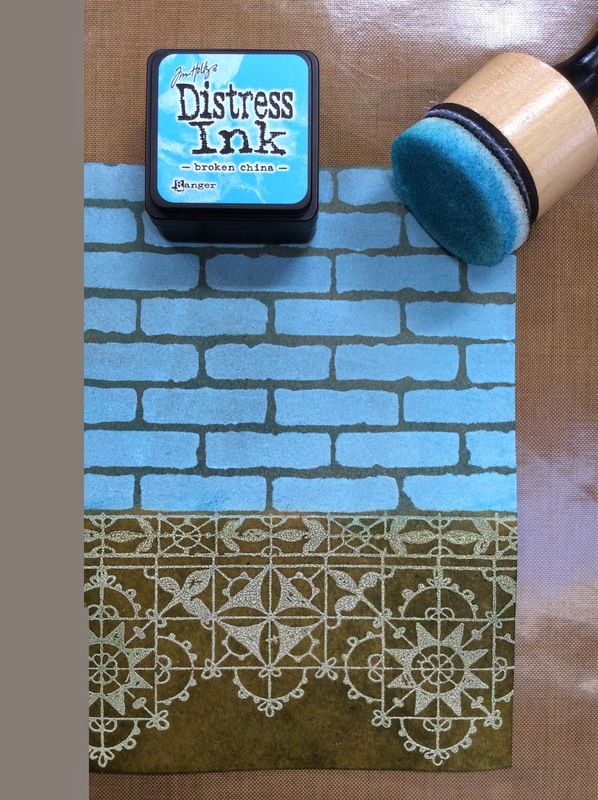 Oh my, I love this idea of using the Snow Cap ink pad to create a chalky background. It's brilliant! Thank you so much for providing all the details on how you made this card! What a beautiful card w/ the tutorial. 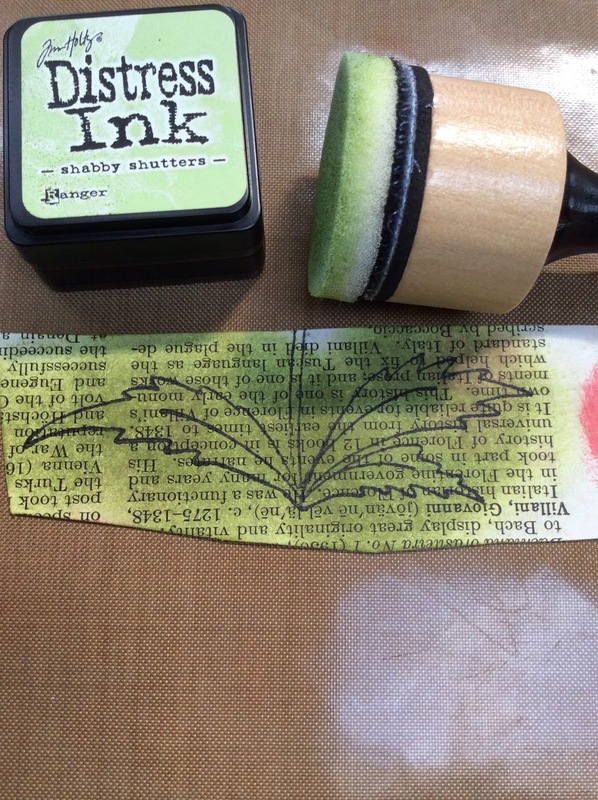 Love your new vintage lace stamp. Beautiful card. Love all your helpful tips. Thanks for the chance at the mini sets! WOW that is an awesome card....love the techniques used...gotta try them! Great technique! It's amazing all the different ways you can used those lovely minis! Beautifully done! Thanks for the step by step instructions with photos! Very cool card! Love the blue brick with the lace..awesome! Oh my gosh...another technique to play with this weekend..supposed to be rainy so this is perfect timing! And a giveaway to boot! Count me in! Loving the new lace stamp. It is on my wish list. I desperately NEED/WANT these little jewels. Haven't been able to pick any up yet. Love your blog!! Enjoyed seeing all the steps of your project. I sure would love to get these newest minis! I have the first nine sets. I WANT that last three. I use distress ink all the time and I love the colours. The minis make it possible to carry all of my favorite inks and asmall amount of space and they are SO convenient to use! Thanks, Tim. I own all the full size pads but have not gotten any of the minis yet. I would love to have them! Can't wait to try the white ink pad. I need that too! This card is Beautiful! love the technique. the colors are awesome! thanks for the chance to win! I like the detail in your card, the ink just sets everything off. Great card! Love your work and products! The mini distress pads are wonderful, aren't they!! Once again you never cease to amaze with your awesome projects. I had never thought of your technique with the white pigment ink--I love it! Beautiful card, thank you for the chance to win! Love your card and the give away too! Thanks for sharing how you made the card. Really like that lace stamp! Ok, yes now I saw why I neeeeeed that white ink. Nice card. Thanks for the tutorial. Thanks for the giveaway. so many techniques on such a beautiful card. Thanks for the inspiration and the instructions. Thanks for sharing these lovely techniques! After taking your class I bought the white pad and LOVE IT !!! Super cool techniques as always .. thanks Wendy ! 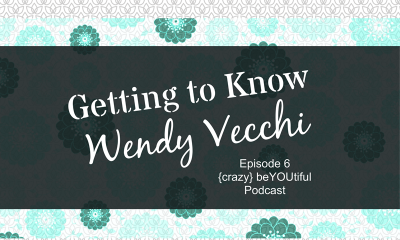 Wow Wendy great tips and tricks. That card is fabulous. Eye catching. I need to use my snow caps more. Ty. Love the card and as always you give such useful tutorials!!! Thanks so much! I love Distress. Thanks for the chance to win. LOVE your project!! So many techniques that are either new to me or remind me to use those I learned in the past. Thanks for the great tutorial!! 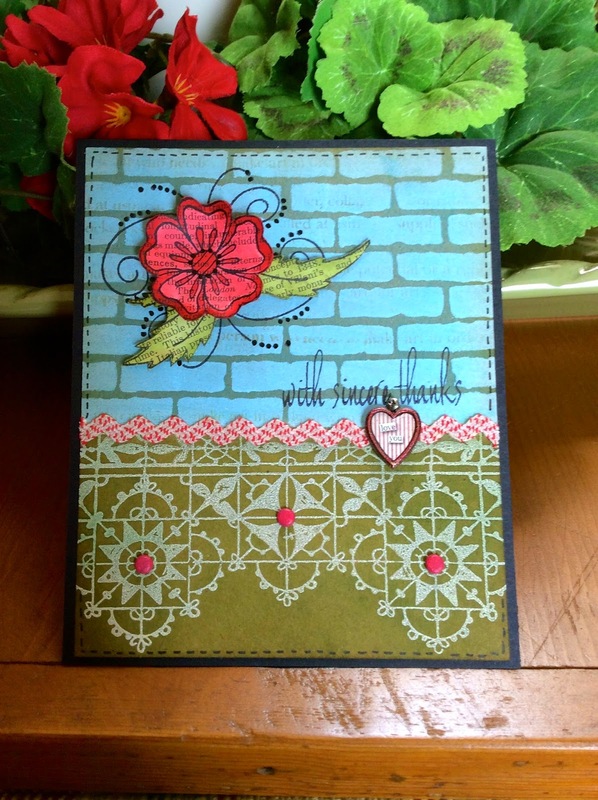 Impressed with your card tutorial...beautiful card and great demonstration. Thanks! love the look of this product combination. thanks as always for sharing. The Frosted Crystal EP looks so cool, I'll have to add it to my wish list! LOVE this card -- my lace border stamp (along with a BUNCH of your other new goodies) shipped today, and I am too excited to sleep !! Thanks for the inspiration (AGAIN), and the giveaway opportunity ! That card is amazing, love white and will have to get that Snow Cap ink. Cannot wait for the three new mini's for my collection. Thanks. What a beautiful card. Thank you for sharing your talent and for the precise instructions to help those of us that are slightly challenged. Oh wow! All 3 sets!!! What an amazing giveaway. Your project is great. I love all the special notes along the way for all those things you learned along the way ( and to save us from getting it wrong). Amazing detail on the card. Absolutely stunning. Great instructions as well so hopefully I can make something just as beautiful. Thanks for the chance to win. You are so talented! Love your art. What great techniques! Thanks for sharing. As usual, another beautiful card! Have fun Wendy I know I would. I'm headed to Moline to take class with Dina Wakely. Maybe I can pick up some of your new stamps and stencils there. 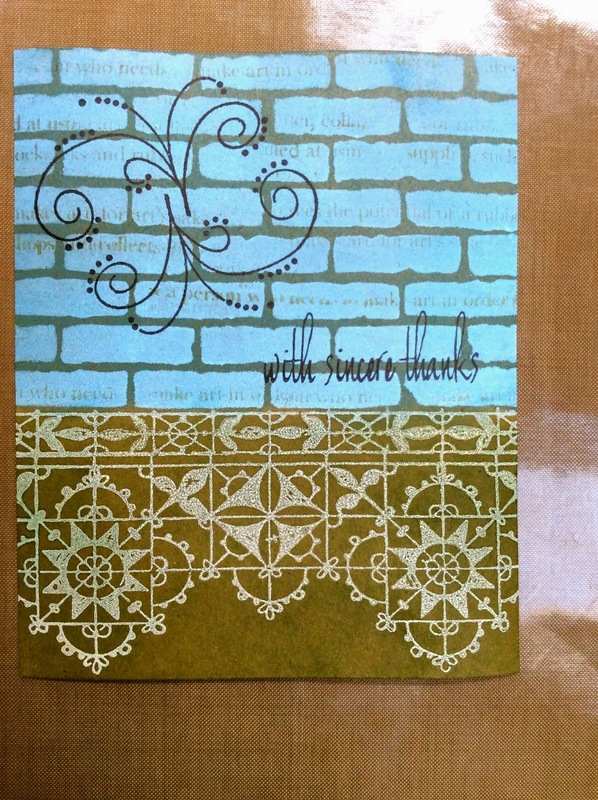 Great tutorial, I see why you love the white ink pad, lovely card! Thanks for a chance at the mini ink pads. That lace background is fast becoming one of my favorites ever ! And the minis are so easy to work with ! Thanks Wendy! 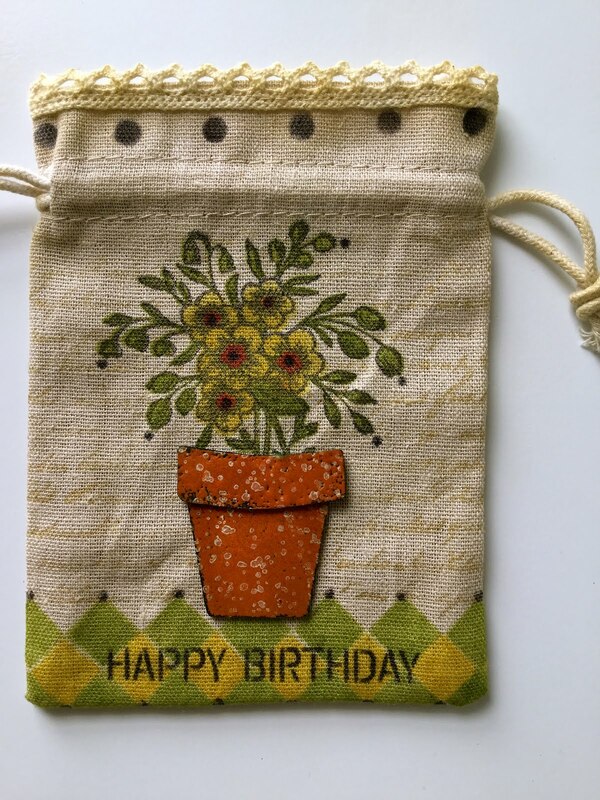 Love the snowcap ink with the kraft paper. What a beautiful card! Great way to keep some small inks in the RVida Loca!!! Great new ways to use the distress and the Snow Cap!!!! Thanks for the great op to win!!! I've never used Ranger's white ink before. I have a different make and not all that happy with it. Time for a change I think. Fantastic tutorial the card turned out beautiful! thank you so much for the chance to win! I love the white on the craft card stock - it looks fantastic. I will definitely have to try it - thanks! Love how vividly that Snow Cap shows up on the kraft cardstock, and wow .... it looks so great with the color! Beautiful techniques. Loved the techniques you showed, great card and tnx for a giveaway! Super technique for a card. 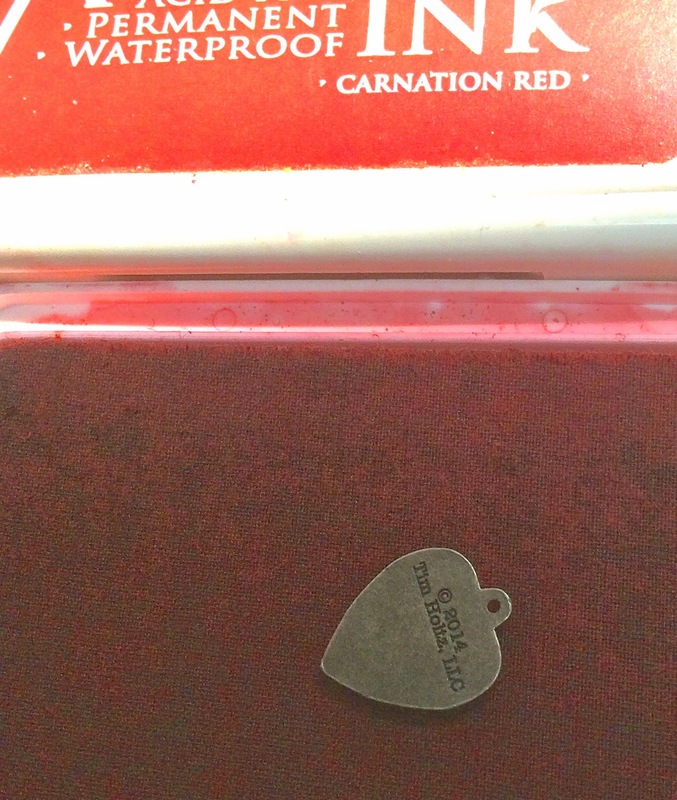 Need to get some of that embossing powder. Thank you so much for a chance to win! Beautiful card! I love the mini ink pads and the colors! I must have all these cute mini ink pads! Thanks for the tutorial on how you made your fabulous card. Love it!!!!! Taking your class tomorrow can't wait!!!! FUN stuff! Love the ink pad minis too! Can't wait to see you at both classes tomorrow and Sunday! Yay! Great job on the card. Another beauty of a card, and thanks for the chance to win the minis - my fingers are crossed! Beautiful card and great technique. Would love to get the new inks especially shabby shutters! First, you started with my favorite card stock..kraft...and you added white. I never would have thought of bricks and lace, but what a great look. The card is beautiful and I'm always amazed at the great results with Distress Inks. Thanks for the tutorial, too! 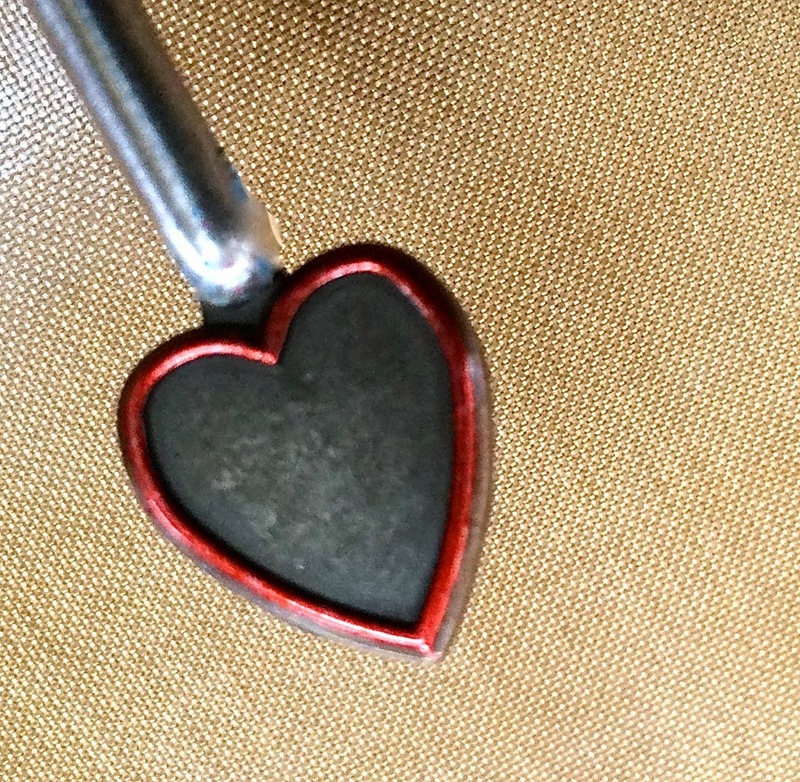 What a fun project, Wendi, and thanks for the nice detailed instructions! I love distress inks, and am just starting my collection of the minis - would love to win these! I love this! Loved the vintage lace stamp as soon as I saw it! What you did with it is gorgeous! Love the card and your detailed instructions! Especially love the technique with the snowcap ink pad and distress inks!! Running out to buy that pad! Thanks so much for the chance to win some mini distress inks!! beautiful!! I love the distress ink over the snow cap. Fabulous! Love that lace stamp, too. Beautiful card! I love creation proces! Wow! Love your tutorial and the snow cap pad too...who am I kidding, I love it all! Fantastic. I love the use of the white pigment with Distress ink. Thank you for your tutorial .... and a chance to score some wonderful ink pads . . . I love your card and the step by step of how you achieved your look. Great tut. I seen that tool at our local scrapbook store closeout. Now I wish I'd bought it. Too late now. Love all of your artwork Wendy! Would love to win the new set of colors. Love your technique with the white ink on kraft. Aw, I just love all your wonderful ideas. Wow-I knew none of those things about the Frost White-which could be why I was disappointed in it. Time to get it back out and try again. Thank you for the fantastic tutorial-free schooling-you got to love it! Very striking technique! Love the colors! Wow. beautiful card. thanks for showing all the steps too. I agree the white ink is magical. I love how it helped transform your card. thanks for the chance to win too. What a great card. Thank you for such a great instructions. I like how you added the text to the brick background. Thank you for sharing such great ideas. I've been pining for your lace stamp since I first laid eyes on it. LOVE this card. So many awesome techniques and ideas to try : ). What a great card! Just beautiful! I've been looking for a good, white ink pad too so I'm going to have to order one of these. Thank you again for your inspiration! Wendy this is just gorgeous!!! Betty is out of the ink but getting more next week. I can't wait!!! Great card love the lace stamp !!! Thank you for the tip on the snow cap ink pad - I now have one on order! Your card is beautiful and I love the techniques you used. Hoping to finish out my mini set too and since I don't do well on drawings I have already asked my retailer to let me know when her order arrives! Thank you for all the great tips and clear instruction and pictures...I can't fail! The white ink is just what I need before I begin my Christmas cards. The lace stamp is gorgeous. Yep, the minis are "so stinkin' cute"! I have not had a chance to experience them yet-would love to win so I can try them. What else to say but WOW what a card!! Distress inks are the bomb!! So pretty! I love that lace stamp. Wendy I love everything about this card. I really think that everybody should have those stamps to play with. Thank you for sharing and for giving us a chance to win some Distress minis! I will have to dig out my Snow Cap and give this technique a try, thanks for sharing this gorgeous card with us! 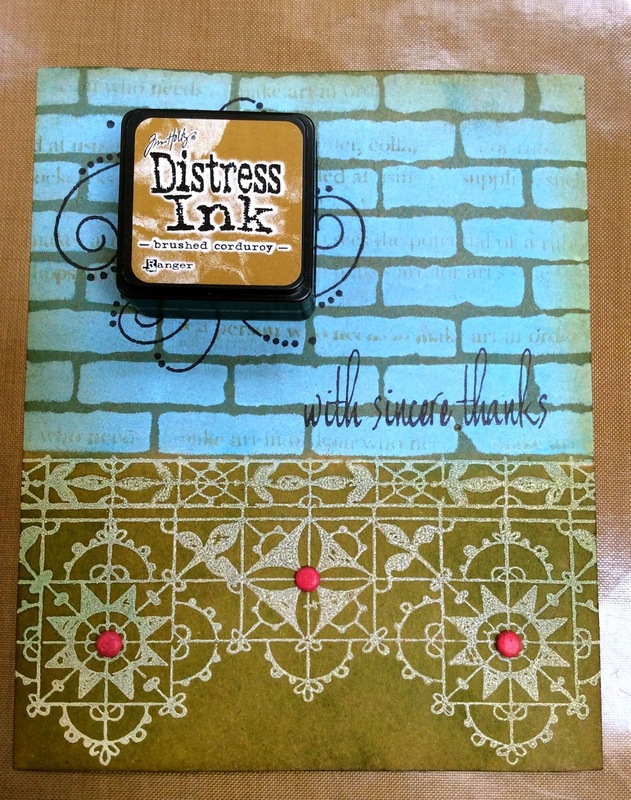 Love the distress inks and all of the instructions and helpful hints for using all of the products! I loved "watching" you create this! It was neat to see all of the techniques you used. They all came together wonderfully! Thanks for sharing! Wendy, you make it look so easy!! Another great project. Thanks for sharing all those awesome techniques! I think I need that snowcap white pad! So pretty. You are really good with stencils compared to me! Thanks for sharing these great techniques. It is so cool to use the white ink as a base to create any color you want for an image. Always love white embossed on Kraft! Thanks again! Love these new mini Distress inks. They are just the right size. Also I love your blog and follow it. 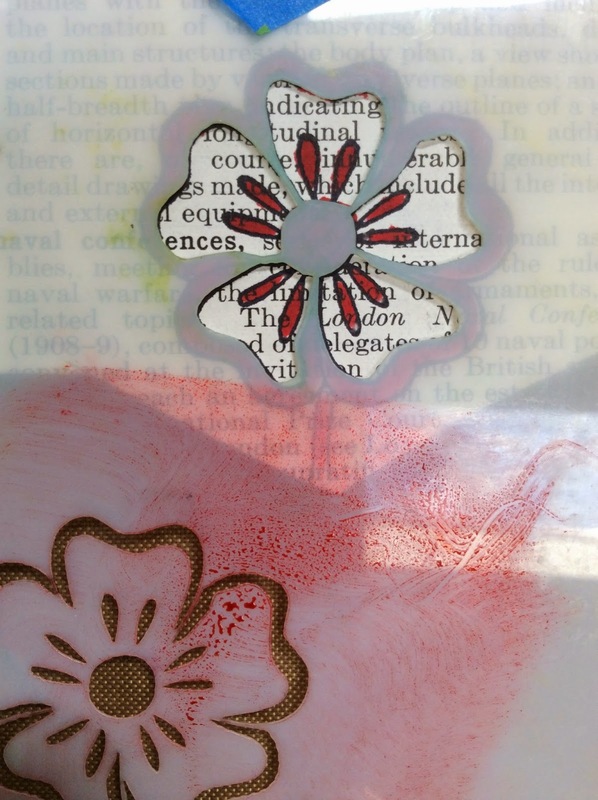 love the white ink - great with the distress ink! thanks for the chance to win! I loved your demo, of course,! I have never used the snow cap like that before so here I go again! Learning something new from a great artist! Thank you! Wow, that snowcap pad IS fabulous, love the effects you achieved with it. Thanks so much for your tutorial and the opportunity to win Tim's newest DI release, love those minis! I love the brick wall!! What a great tutorial. Hope you have a fabulous crafty weekend. I love all your projects and these mini ink pads are so handy. I love your art, your techniques, your products! Thanks for the continuing inspiration! Count me in on the giveaway of those minis!!! 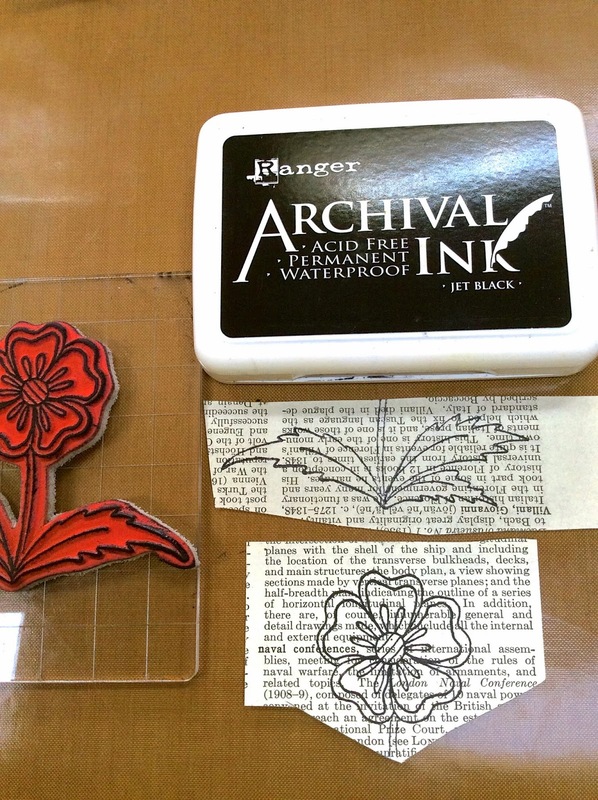 Each time you use the vintage lace background stamp, I want it more and more.. Hurray for more mini ink pads. Wendy, your tutorial and tips are awesome! What a lovely card. Thank you for sharing. Wow, seems like a very fun card to do!! Love the colours, specially the red details! what a great card and I really like how great the snow cap ink looks once its stamped. I've been needing a new white and now just to find it. Thanks!!! 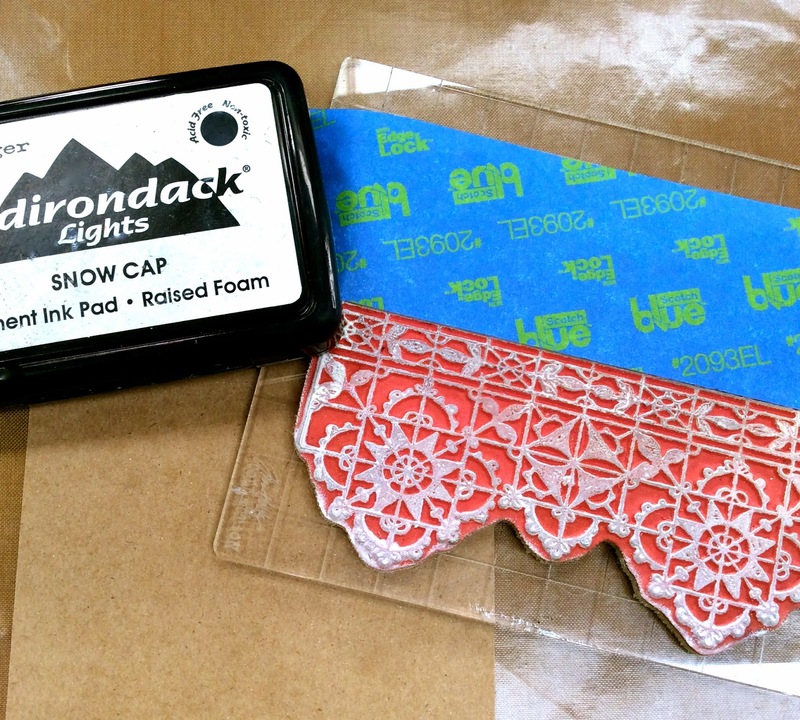 Love the snow cap paint; will have to look for the stamp pad now. Thank you for a great tutorial. Love the card. Can't beat Ranger products! Awesome tutorial. Love the details. Your card is stunning. I am a convert to Snowcap White! Thanks for the tutorial and the chance to win those cute little minis. Здорово ты управляешься со всем этим богатством, и получается замечательная красота! Hey there! Cool do you cope with all this wealth, and get a great beauty! EXCITING inking - LOVE the effect of Snow Cap White with the Distress Inks!!! THANK YOU for sharing your CREATIVE INSPIRATION and for the chance to win some INKY AWESOMENESS too!!! I have the lace background stamp and have used it repeatedly. Love it and your new card! I agree there is so much you can do with white ink. 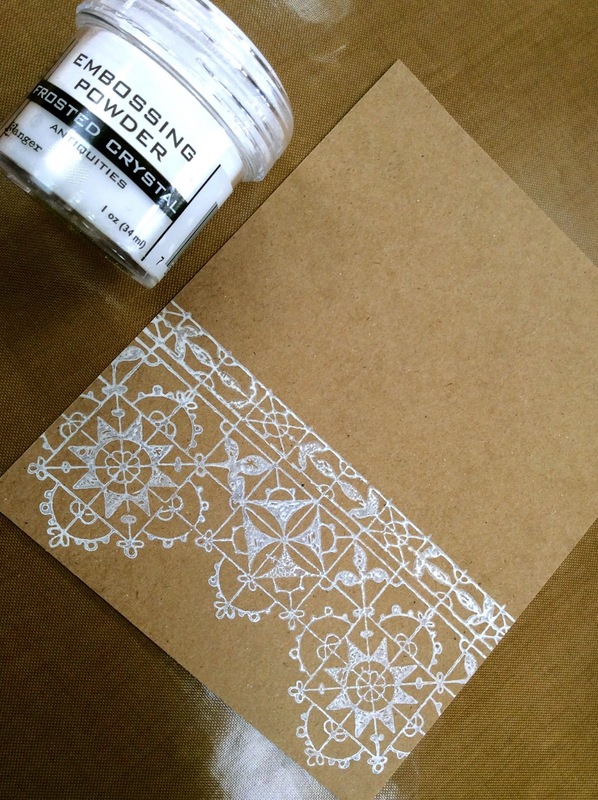 a good white ink pad is a staple in any crafter's supplies. 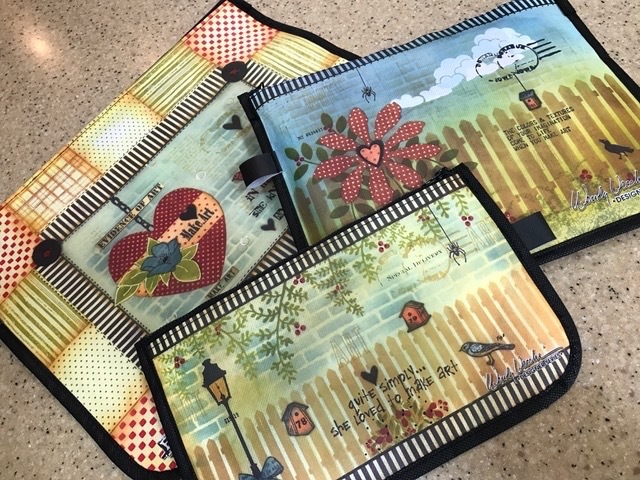 thank you for sharing your talents here and for the chance to win mini distress pads!!! What a great card. Thanks for the inspiration. Fabulous card. Love the idea that the snow cap ink makes the Distress inks look chalky. what a great tutorial! Thank you for the ideas and inspiration. I love working on kraft colored paper it has such a different effect with ink and art. I love your stenciling thru another stencil technique! It does make a difference! thanks for all your tips! And the beautiful card! Great card! I love the lace and the white snow cap ink. Thank you for sharing with us. Love this card. Great techniques used in this creation. Thanks for sharing. Beautiful!!! Have fun in CT. Thanks for a chance to win! Thanks for sharing all these different ways of using the mini's. They look soYummy,I need to taste them soon. I love learning something new, thank you for that. Wow! So many techniques! I love your detailed posts! Great card, and loving the new minis! Such a great product! So many new to me techniques. Thanks so much Wendy. What a Beautiful card! <3 giveaways! What a fantastic card! Thanks for the fab picture tutorial. Love when you do that. These minis are so darn awesome! What a special Thank you card! Very nice stencil technique! Thanks for sharing! Wow. This card is GORGEOUS!! 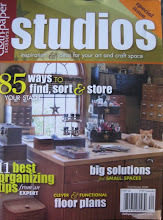 Thanks for spotlighting the snow cap ink pad! I love the techniques you used especially with snowcap and frosted embossing very exciting! 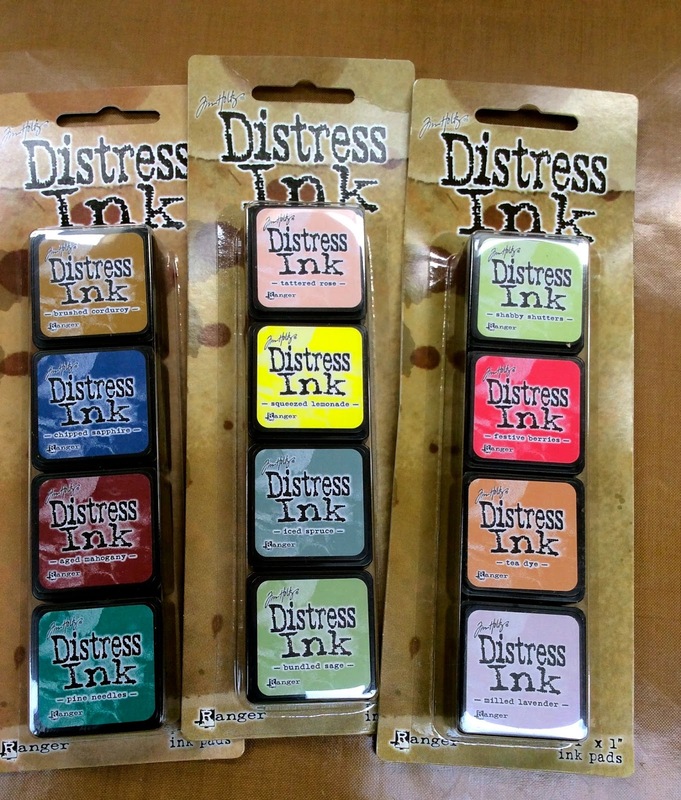 The new distress minis are what we artists have been waiting for yum! Thankyou Ranger and TIM! Your card is amazing and the techniques you used, very cool! I have all of this stuff but I didn't know exactly what I had until your post! ~Thank you! I love it when old products and new products are combined for terrific new projects. Lovely! Thanks for such a Great step by step tutorial.